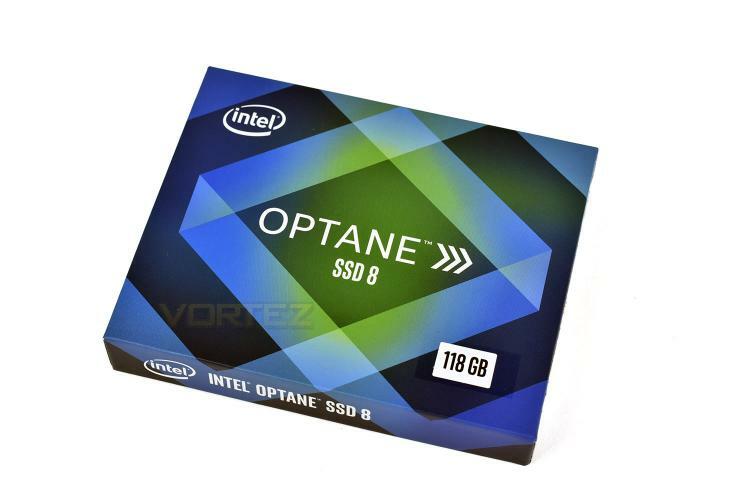 The Optane 800p packaging is reminiscent of the colour scheme used on previous generations of Intel Core processors, specifically the Skylake and Kaby Lake boxes, using the bright green and blue colours blended together. The front features the bare minimum of information. 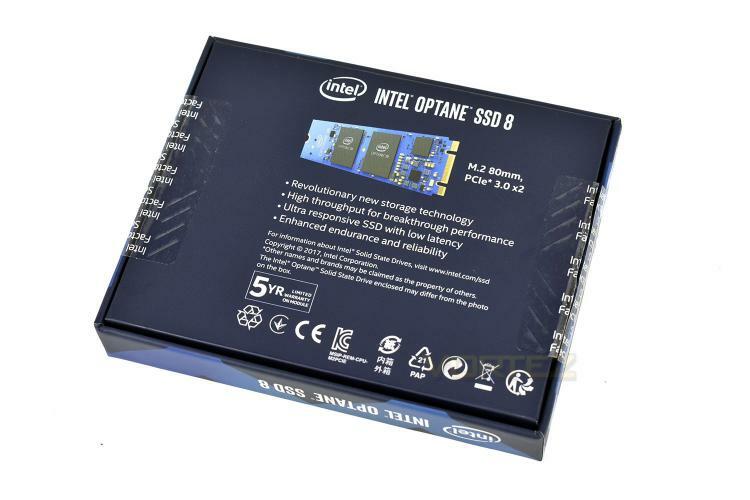 Clearly aimed at tech enthusiasts, who will likely have already researched the product, the rear of the packaging isn’t packed with info either. 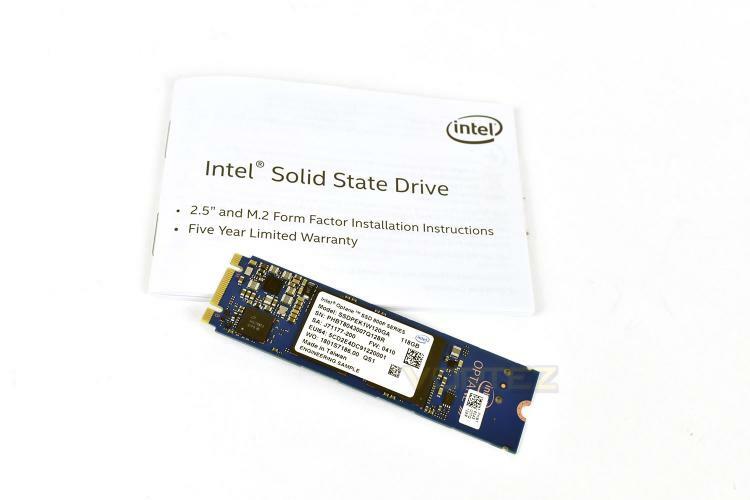 Inside the box, the M.2 drive is held securely inside a thin plastic sleeve. Under a cardboard insert is a small documentation booklet. 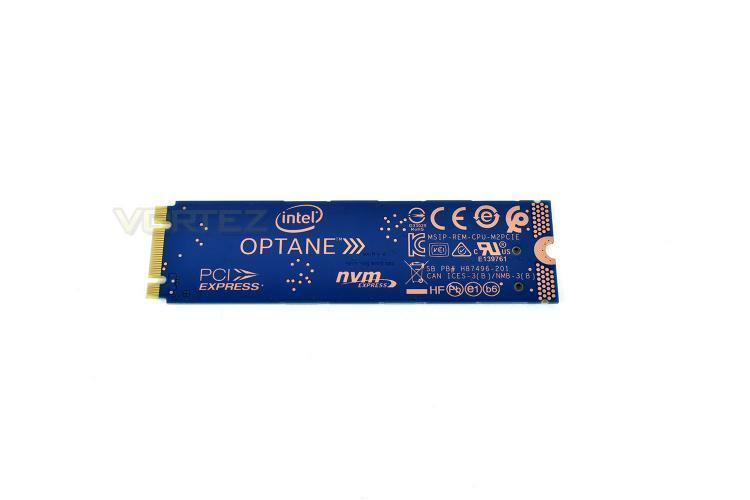 The Intel Optane 800p SSD conforms to the M.2 2280 standard, being 22mm side and 80mm long. The drive is orientated from left to right, though most M.2 slots face the other direction – the result is going to be an upside down label on your drive; if you suffer from mild OCD, this may annoy you to breaking point. 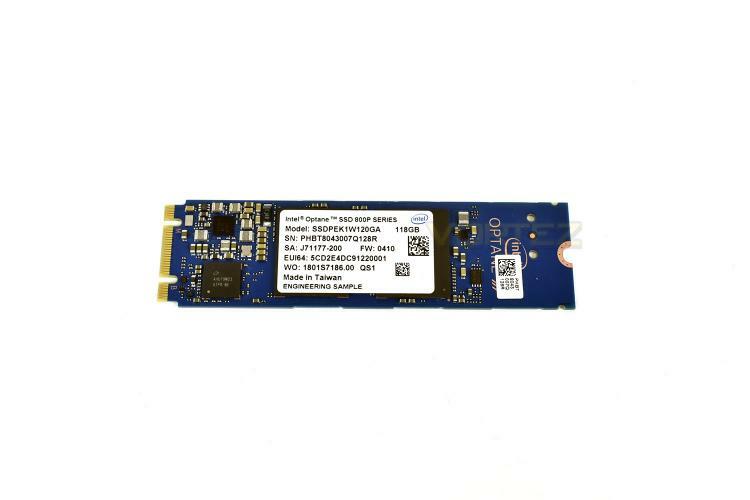 The rear side of the drive doesn’t feature any components but is printed with all of the safety and technology specification information you could need.